New Players Only, 4x Max Conversion, Only on Starburst, 100x Wagering on Winnings, SMS validation req, No Dep. req T’s and C’s apply. Welcome to the UK’s most popular destination for Online Casino and Mobile Casino games! Now enjoy your favourite mobile slots and table casino games on the move and win some big jackpots! Our Casino games are compatible with all the major iOS and Android smartphones and tablets. The mobile slots are not the only games on offer at the Jackpot Casino. 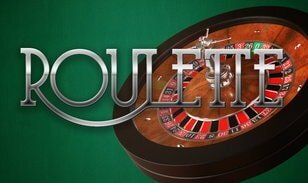 Our unique collection of Online Casino games includes the classic European Roulette, Blackjack, Fruity Slots and much more! All games are licensed by the Gambling Commission and independently tested by NMI to ensure fair play at all times. A dedicated customer support team is available to answer any queries or to address and concerns you may have. The customer support team can be contacted via email, telephone or you can also write to us directly. At Jackpot Mobile Casino, we offer a variety of easy deposit methods. You can deposit by BOKU (Pay via phone bill), credit card, debit card, Ukash and Skrill. Very soon, popular payment methods such as Paypal, Paysafe and Neteller will also be available for all our players to take advantage of online wallets. All transactions are secure using the latest SSL technologies and all data is kept safe to ensure smooth and stress-free gaming environment. At the Jackpot Mobile Casino, we bring you the best mobile slots from the house of NEKTAN and NextGen including popular titles such as Medusa, Foxin' Wins Again, Gorilla Go wild, Miss Midas, Cave Raiders HD, Shamrock 'n’ Roll, Candy Swap and many more! Our slot games are based upon a variety of themes to suit everyone’s taste and preferences. From the traditional fruit machines to the colourful Brazilian party theme to the lucky Irish symbols, our slot games have it all! The games are designed and developed by the mobile gaming powerhouse, NEKTAN and NextGen. The team at NEKTAN have blended amazing HD visuals and soothing audio sounds that brings our mobile slots and mobile casino games to life! The games are then tested thoroughly on a variety of devices to ensure you receive the best gaming experience, anytime, anywhere! The new players at our casino are welcomed with 10 free spins on sign up to trial the games before they deposit and play for real! The sign up process is simple and takes less than a minute. You can play for as little as 1p and win up to £250,000! The games are only available for players in the UK and therefore all the players residing outside the United Kingdom are not able to access the games lobby. We reward all our players for playing with us and for their loyalty with a VIP programme. On hand, are some amazing promotional offers that you can avail 10 free spins for making real money deposits, Cashback Tuesdays and much more! What’s more, we regularly run special weekly, monthly and weekend promotions alongside our standard offers. For the latest offers, promotions and updates follow us on Google+ and Twitter and Like us on Facebook. You can also subscribe to our newsletter to receive latest updates on new game launches and promotions. New mobile slot games are launched on social media pages with free spins offers, bonus codes and free plays – so don’t miss out. Join us now and be the first one to know about these launches!Jackpot Mobile Casino goes desktop! Yes, that right! You can now play your favourite casino games on Desktop PC as well. To make things more interesting, we have added the best slots to our collection such as Jackpot Jester 50000, Miss Midas, 1Can 2Can, Merlins Magic and many more! 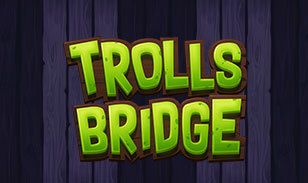 Our every growing collection of online slots will surely keep you entertained for hours! You can try them all for free before you make a deposit and play for real! Don’t wait any longer, go ahead and click on the sign up button to register and enjoy your favourite casino games wherever you are! How to Play Free Scratch Cards Online?